It's a new year of Hunter Sports and there are a lot of pre-season meetings and tryouts for HCHS athletes. Tryouts for grades 6-8 take place beginning Sept. 11; tryouts for 13 high school varsity and JV teams begin in the last weeks of August and practices start the first week of school or in some cases earlier. Read on for everything you need to know--and links to the parental consent and medical forms--for the upcoming fall season. If your child is interested in a fall sport, he/she should show up to the meeting and/or come ready to play at the tryout. Don’t forget to send in the medical and parental consent forms with your child, which can be found here. Pre-season clinic for Girls Volleyball, grades 6-12, on Aug. 21-22, 10 am-5 pm. Cost is $100 for the two days. Location is Hunter gym. Contact Coach Fox for more info. • Boys Soccer – tryout on Wednesday, Sept. 16 @ 3:30 pm in gym. Be prepared to go outside. • Girls Soccer – interest meeting on Friday, Sept. 11 @ 11:30 am in cafeteria. • Girls Volleyball – tryouts on Wednesday &Friday, Sept. 16 & 18 @ 3:30 pm andSaturday, September 19, 9-11 am in gym. • Coed Wrestling – interest meeting on Wednesday, Sept. 16 @ 3:30 pm in cafeteria. First practice will be Thursday, September 17. • Coed Cross Country – interest meeting on Wednesday, Sept. 16 @ 3:30 pm in cafeteria. • Badminton, Boys Varsity – tryouts on Wednesday & Thursday, Aug. 26 & 27 @ 3-5 pm and Wednesday, Sept. 9 @ 11 am - 1 pm in gym. • Bowling, Coed Varsity – interest meeting on Friday, Sept. 11 @ 11:15 am in cafeteria. Tryouts/practice on Wednesday - Friday, Sept. 16-18, 3:30-5:30 pm at Frames. • Cross Country, Boys and Girls Varsity – practice starts the week of Aug. 24. Contact Coach Adams for more info. • Golf, Girls Varsity – tryouts the week of Aug. 31, 12:30-2:30 pm, at Randall’s Island. Contact Coach Potter for more info. • Fencing, Boys Varsity – tryouts on Wednesday & Thursday, Sept. 16 & 17, 3:30-5:30 pm in cafeteria. • Soccer, Girls Varsity – check schedule online. • Soccer, Boys JV – practice the week of August 24, 3-5 pm, at Randall’s Island. Contact Coach Potter for more info. • Soccer, Boys Varsity – check schedule online. 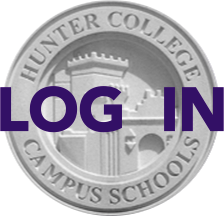 • Swimming, Girls Varsity – tryouts on Wednesday - Friday, Sept. 2-4, 6:30 - 8 am at Hunter College pool. Contact Coach Gaudenzi for more info. • Tennis, Girls Varsity – tryouts/practice the week of Aug. 31, times TBA. Contact Coach Cheng for more info. • Volleyball, Girls JV – tryouts on Monday & Tuesday, Aug. 24-25, 9 am - 12 pm in gym. • Volleyball, Girls Varsity – tryouts on Monday & Tuesday, Aug. 24-25, 9 am - 12 pm in gym.